At first glance, the London Borough of Southwark looks like a dream place to live in. It has a central location and many of its areas are set on the banks of the River Thames. This means that people who live in the borough have access to excellent transport links and are surrounded by some of London’s top tourist attractions, restaurants, cafes and etc. And yet, over the past two decades or so Southwark has not enjoyed the most brilliant of reputations. For a long time, it was stigmatised as one of the city’s poorest boroughs that attracted only underdogs, struggling working-class families and trouble-makers. Fortunately, over the last few years, Londoners have been more accepting of Southwark and they have finally opened their eyes to the amazing opportunities offered by this London borough. Maybe this piece will help you see the hidden beauty of this incredibly interesting place! Things here are done in a different way and that’s what makes Southwark so hip. One of the hippest districts in this London borough is definitely Peckham. Even though it used to be one of the city’s poshest areas in the 1500s, today it is a fun and lively spot that has a flair for art and music. All the cool kids come namely here to play. 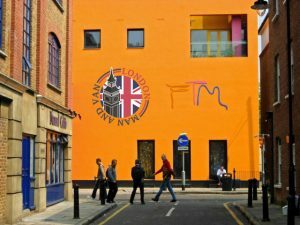 The district is home to people of various backgrounds, cultures and ethnicities and if you want to live in such a welcoming and interesting area, just hire a trained man and van in Peckham SE15 and join the party. There are plenty of small shops to explore here too. 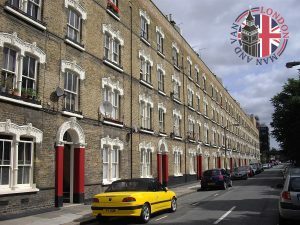 If you are already a Londoner or have been living in the UK capital for a while now, you have certainly heard and experienced at first hand the fact that the cost of living in London is among the highest in the world. That is even more true in the city centre. Even though technically, Southwark falls mainly into the southern part of the city, it is still located rather close to the heart of the capital. And yet, property prices here a more than acceptable. First-time home buyers flock to Walworth because the area underwent a major regentrification in more recent years. That is why the professional moving companies that serve the area have been quite busy lately but you can still hire a reliable man and van in Walworth SE17 at the last minute. An even more attractive spot in Southwark is Nunhead. It has a lot in common with the borough’s most desirable districts with the exception that properties here are much more budget-friendly. Even a highly skilled man and van in Nunhead SE15 does not cost a fortune to hire in this part of Southwark. Sounds great, doesn’t it. If you are looking for a waterside place to move into, explore the homes in Surrey Quays. It used to be a more industrial area in the past but today, many of the properties in it have been redesigned and repurposed. Although SE16 mainly offers flats, the views that some of them offer are totally worth it. Book a qualified man with a van in Surrey Quays SE16 and relocate closer to the Thames. In that way, you will see a different and better side of Southwark. Our website utilises cookies in order to bring better usability. Please read about cookies here and here before you continue.